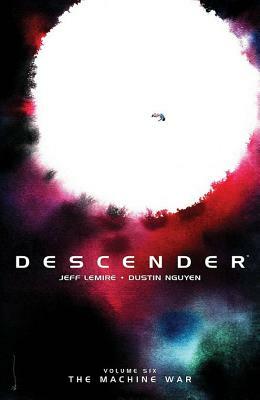 A new, cataclysmic chapter of the Descender saga is here All the various factions who have been hunting Tim-21 finally converge around the ocean planet, Mata just as the robots launch their galaxy wide revolution But nothing can prepare the young android Tim, or the readers, for what happens next. The Descender saga comes to a startling climax and sets the stage for the next, mind bending adventure. A new chapter of the heartfelt Sci-Fi epic by superstar creators JEFF LEMIRE and DUSTIN NGUYEN begins here. Collects issues 27 through 32.